WEST LAFAYETTE, Ind. —Purdue University has created a new lyophilization consortium, LyoHUB, to improve freeze-drying technology to make food, pharmaceuticals and biotech products safer and more affordable. 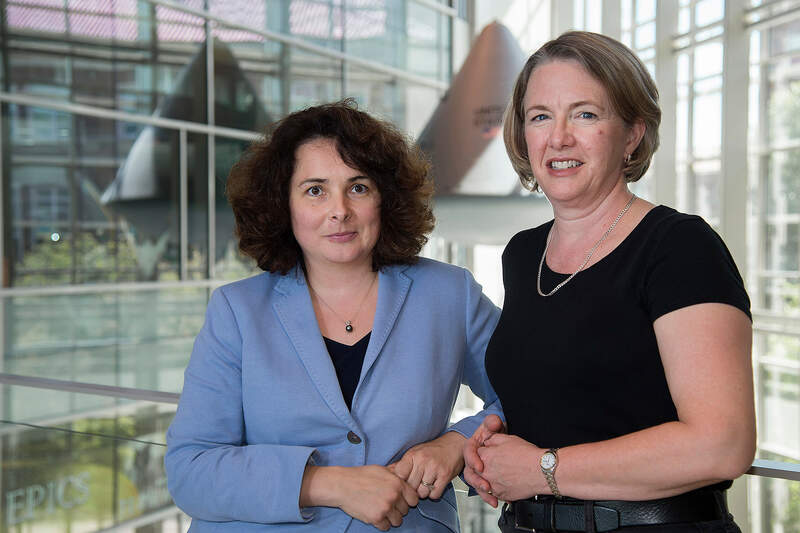 Lyophilization, the process by which water is gently removed from materials to make them more stable and lengthen their shelf life, is a high-priority technology challenge, said Elizabeth Topp, head of Purdue’s Department of Industrial and Physical Pharmacy who co-leads the center with Alina Alexeenko, an associate professor of aeronautics and astronautics. “You don’t think of it when enjoying the dried strawberries in your morning cereal, but lyophilization is a $30 billion piece of the U.S. food and pharmaceutical manufacturing industry,” said Topp, who also is the Dane O. Kildsig Chair in Industrial and Physical Pharmacy. “Without this freeze-drying process, important drugs would not be available to those who need them. Many protein-based drugs, certain vaccines, probiotics and the dried fruit used in many products would not be available without it. However, the current lyophilization process hasn’t changed in 50 years, and it is very expensive. About 25 percent of new injectable drugs, vaccines and biological products are formulated in a lyophilized form, and for many proteins, peptides and vaccines, it is the only way to produce stable, biologically active products with a long shelf-life, Topp said. Stagnation in lyophilization technology could have a negative economic impact, as companies look to offshore manufacturing to reduce costs, Topp said. The lyophilization process requires big pieces of equipment that create a low temperature and pressure environment to push water into the vapor phase, so that it leaves the material and collects on condenser coils. Since the equipment is sealed, and it is impossible to check on a process while it is occurring, except through information from one or two sensors. Processing one batch of material can take a few days, which means time is lost if something goes wrong, she said. The conditions required for lyophilization are similar to those in outer space, and the Purdue team plans to apply aerospace engineering principles to the project, Alexeenko said. The development of new sensors that are less bulky and better distributed within the system is one approach to help control the processing. Advancing process analytical technologies and sensors for process development, monitoring and control are one of the initial focuses of the consortium, as well as developing standards for lyophilization equipment performance, testing and validation, she said. The consortium brings together industry and academia, representatives from the Food and Drug Administration and other government agencies, equipment manufacturers, and end product users to address the most important problems facing the industry, Topp said. The leadership team, which in addition to Topp and Alexeenko includes Michael Pikal of the University of Connecticut and Steve Nail of Baxter International Inc., has already created LyoHUB, a website where consortium members can share best practices, new information and projects. LyoHUB also includes computational and process modeling tools to support research. The consortium is currently working to develop a technology roadmap for lyophilization to prioritize research and development projects and goals, and is recruiting members. Note to Journalists: A LyoHUB technology roadmapping workshop will be held Oct. 6 - 7 at Purdue University. More than three dozen participants will attend including academic scientists, industry representatives and representatives from NIST and FDA. The workshop will be led by John Saiz, formerly the chief technology officer at NASA”s Johnson Space Center and a senior industrial fellow with the Institute for Manufacturing at the University of Cambridge. The workshop is not open to the public, but media may attend. Please contact Elizabeth K. Gardner at ekgardner@purdue.edu or 765-494-2081.